As your child enters The American University of Paris, you too become a vital member of the AUP community. At AUP, we understand family members are an essential part of their student's journey, even after they have ventured far from home. As your on-campus partner, our Parent Relations Office serves as your connection to our campus in the 7th arrondissement. 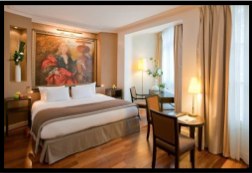 We foster this partnership through a variety of communications and international events and always look forward to welcoming you to our little corner of Paris. Does your child or family member qualify for financial aid? Generous contributions from AUP donors—including alumni, parents, board members and friends of AUP—have already allowed us to enrich our academic programs, to promote the diversity of our student body and to create a contemporary, student-centered base in the 7th arrondissement. Big or small, your gift will make an impact on the quality of education at The American University of Paris. Find out how you can support The American University of Paris today. Are you looking for an exceptional intern at your company? 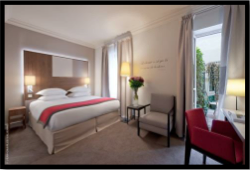 Next time you are heading to Paris we are pleased to inform you that AUP has established partnerships with 4 star hotels in Paris from the INWOOD hotel chain. 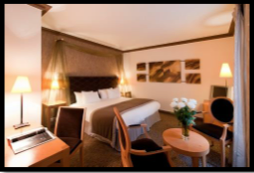 These corporate rates will be valid all year long, depending on availability. Be sure to use the reservation code "AUP2019" for a 10% discount and two free breakfasts. 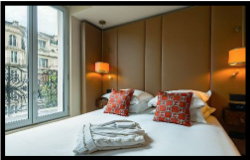 There are some other accommodation options that you may wish to explore including using Booking.com to search for a hotel or Airbnb.com for an apartment in Paris. 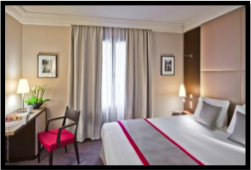 We would advise that you pay attention to location as you will undoubtedly wish to be in close proximity to AUP's campus in the 7th arrondissement. The Admissions office conducts campus tours and information sessions at 10:30 and 14:30 on Mondays and Fridays when classes are in session. As the Gilets Jaunes demonstrations continute, please head to our dedicated Safety & Security Updates page for all the latest news and advice for our AUP community.